Certified Internal Auditor Salary: A Guide to the CIA Salary in U.S.A.
» Certified Internal Auditor Salary: A Guide to the CIA Salary in the U.S.A. Which CIA Review Course Is Right for You? With my comparison of the most popular CIA review courses, you can get the best course for you! CIA vs CPA: Which Certification is Better or Less Difficult? Certified Internal Auditor Salary: A Guide to the CIA Salary in the U.S.A.
As you may know, a career as an internal auditor is financially stable. However, what you may not know is that a career as a Certified Internal Auditor (CIA) is financially lucrative. A survey of the Certified Internal Audit salary reveals that you can make a good deal of money as a CIA. Furthermore, the healthy CIA certification salary is just one of the many benefits of becoming a CIA. So, if you’re interested in the certification specifically and wondering, “How much do internal auditors make?” in general, use this guide to the CIA salary in the U.S.A. to see how much you can make as a CIA. Just like many other accounting careers, the internal audit career is expanding as demand for financially capable professionals increases. Moreover, areas of accounting such as internal audit are becoming more and more important to companies across the country and around the world. In fact, the U.S. Bureau of Labor Statistics has projected the employment of accountants and auditors to grow 10% from the years 2016-2026. The 2019 Robert Half Salary Guide also mentions internal auditor as one of the hot positions and the CIA certification as one of the top certifications in the accounting and finance industry. Furthermore, a shortage of internal audit talent, especially at the senior level, only adds to the desperation for internal auditors at these companies. And when such demands and shortages exist, compensation for those positions naturally rises. Therefore, if you’re interested in earning the CIA, you can make a good deal of money with the Certified Internal Auditor salary. According to the Institute of Internal Auditors (IIA), Certified Internal Auditors earn an average of $38,000 more annually than non-certified internal auditors. And while the IIA’s annual Internal Audit Compensation Report is no longer publicly available, job sites such as Indeed, Glassdoor, and Payscale have completed their own internal audit salary surveys. Based on their findings, the average Certified Internal Auditor salary ranges from $69,000-$84,000. 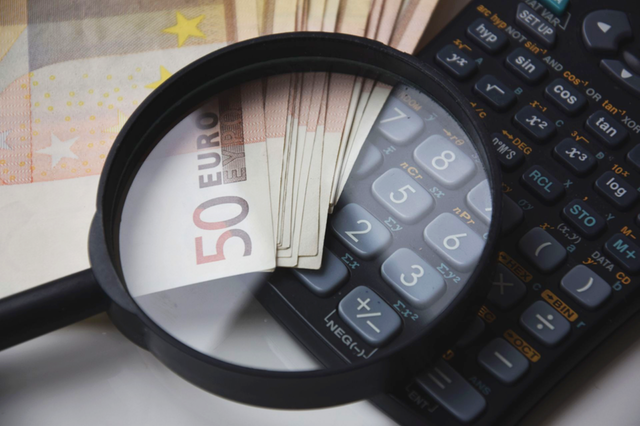 Additionally, the 2019 Robert Half Salary Guide presents annual salary information for internal auditors in corporate accounting and in financial services. As a result, we can see that in corporate accounting, the CIA certification enables internal auditors to earn anywhere from $16,750-$157,250 more than non-certified internal auditors annually, depending on their position and years of experience. Similarly, Certified Internal Auditors in finance and accounting can make $25,250-$81,250 more a year than regular internal auditors. While these numbers are exciting, internal auditors only secure such sizable salary figures by having the perfect combination of points on their resumes. For example, to land a higher-end starting salary, you must have a very strong skill set and more experience than the typical internal auditor. Having the CIA certification is also key for commanding more compensation from the get-go. Recently, the IIA reported that the number of organizations not awarding annual raises to internal auditors was increasing. Therefore, you really need to increase your credentials if you want to pull away from the pack with your earning potential. To max out your internal auditor salary, you’ll need the highest level of relevant experience and expertise. And you can only acquire such qualifications with a master’s degree, industry specialization, and, once again, certifications such as the CIA. Of course, the type of company you work for and where that company is located also affects how much you can expect to make a year. But no matter where you go, having the CIA certification proves that you know your stuff and that you’re super committed to the industry. Looking at how the CIA certification salary compares to the internal auditor salary in various positions within two different financial industries demonstrates all you stand to gain with the CIA. Entry-level internal auditors have up to 1 year of experience. So, with the least amount of experience possible, you can expect an entry-level internal auditor salary to be as low as they come. However, the CIA helps you make more even when you’re still pretty new to the game. The annual salary for non-certified entry-level internal auditors in corporate accounting ranges from $38,250-$46,250. But, CIA certified entry-level internal auditors can make $55,000-$71,500 a year in corporate accounting. Junior level internal auditors have been on the job for 1-3 years. And though junior level internal auditors make a healthy amount more than entry-level internal auditors, non-certified junior level internal auditors are only just beginning to make what certified entry-level internal auditors make. Therefore, to increase your earning potential, you can either gain more experience, which takes time, or you can become certified, which takes less time and fast-forwards your salary increases. In corporate accounting, non-certified junior level internal auditors make $58,250-$71,000 a year. Whereas, certified junior level internal auditors can rake in $84,250-$95,000 annually. And in financial services, a non-certified junior level internal auditor starts off making $57,750-$70,250 a year. But, a certified junior level internal auditor can bring in anywhere from $83,000-$110,750 in their first few years. A senior internal auditor has clocked in 3-5 years of experience. While non-certified senior internal auditors continue to see steady salary increases as they acquire more knowledge and skill on the job, certified senior internal auditors start making about $30,000-$40,000 more than non-certified senior internal auditors in a year. So, in corporate accounting, a non-certified senior internal auditor receives about $75,000-$87,250 a year. Of course, certified senior internal auditors earn more, bringing in around $105,000-$120,250. Additionally, for one year in finance and accounting, a non-certified senior internal auditor makes $68,750-$87,500. Consequently, a certified senior internal auditor makes $98,750-$129,250. An internal audit manager has about 5-10 years of experience. And, a worthy salary comes with so much experience, especially when certified. As these salaries reveal, major discrepancies between non-certified and certified internal auditor salaries start to appear at this stage. For example, in financial accounting, certified internal audit managers can make about $52,250 more than non-certified internal audit managers. In corporate accounting, a non-certified internal audit manager can receive between $96,750-$112,750 a year. On the other hand, a certified internal audit manager gets about $134,500-$157,500 annually. Also, in financial services, a non-certified internal audit manager earns $89,500-$118,500. Yet, a certified internal audit manager makes $128,500-$170,750. Finally, once you’re at the top of the company, you’re at the top of the salary range as well. Along with Internal Audit Director, other titles internal auditors may hold once they’ve climbed the corporate accounting ladder include Chief Audit Executive and Vice President of Internal Audit. And on the financial services side, leading internal auditors may be promoted to controller or Chief Financial Officer (CFO). A non-certified internal audit director in corporate accounting can enjoy an annual salary somewhere between $127,750-$179,250. But naturally, a certified director of internal audit has a bit more to be thankful for, as the certified internal audit director salary is $213,00-$285,000 annually. Furthermore, in finance and accounting, a non-CIA certified CFO or controller can make $168,750-$203,500 a year. Consequently, a certified CFO or controller benefits from making $243,250-$500,000 in 12 months. Clearly, when the CIA certification can help you earn twice as much money in these high-ranking positions and puts you within the quarter- to half a million-dollar range, it pays to be a CIA! Generally, CIAs strive to improve company operations, particularly in the areas of control and risk management. So, when you’re in a lower position, such as an entry level or junior level internal auditor, your duties will involve working with senior auditors to plan audits. You’ll also be responsible to complete such tasks as examining expenditures, revenue, and other financial records to confirm that all the numbers add up correctly. Then, when you’re a senior auditor, you must monitor daily client operations within your firm. To do so, you may need to prepare bank reconciliations or audits, analyze assets and salaries, put together tax reports, and make financial statements and recommendations. Finally, when you’ve reached an internal auditor manager or director role, you will need to organize and oversee internal audits, which usually means managing a team of auditors. You’ll also supervise the review process and suggest policy changes as necessary. As is understandable, increases in the internal auditor salary align with increases in responsibility. When you’re just starting out in internal audit, you have less experience and, therefore, less responsibility. Consequently, your salary will be lower. But as we learned, you can raise it faster by earning the CIA. As you amass more experience and higher titles, you’re awarded greater responsibilities and obligations within the company. So, as you can expect, the certified internal auditor salary ranges increase rather exponentially as well. Then, the increase from senior to manager is the most notable: the manager position requires a more specific combination of hard and soft skills rather than merely technical abilities. Finally, as you move closer to the director position, you need more sophisticated soft skills, and you are handsomely rewarded for having these. To learn more about the skills you’ll need as a CIA, check out the pros and cons of internal audit jobs. Or, discover how to become a CIA so you can start the journey to certification today! Hi kindly assist with how to register for my CIA exam part 1 and how much is the cost.I have a National Diploma in Internal Auditing. These come from salaries submitted anonymously to Payscale by Internal Auditor employees in South Africa. However one also needs to consider that our standard of living is not as high as in the US. I cannot say how many CIA’s we are at the moment (last year June Namibia had 34 CIA’s). Currently there are about 200 IIA members in Namibia. Note: Africa and Namibia are very closely interlinked and the currency is 1:1, therefore if one cannot find stats about Namibia – South Africa is closest. Thanks for sharing Annette! Yes salary level varies greatly and it is better to check payscale and other local online resource for a more accurate picture for respective countries. It would be very interesting to see such analysis for selected European countries. Does anybody know about such survey? The IIA has this information; however, they are charging over $300 for the info, so it’s quite out of reach for most people to purchase.